An unprecedented, united Christian prayer celebration organized by the Council Of Churches Malaysia (CCM) Youth Network to celebrate the ushering in of Malaysia's Jubilee year. We don't care where you come from, who you are, or which church denomination you are worshiping in ! If you have the vision for Malaysia, and the vision is JESUS, then come and celebrate with us ! 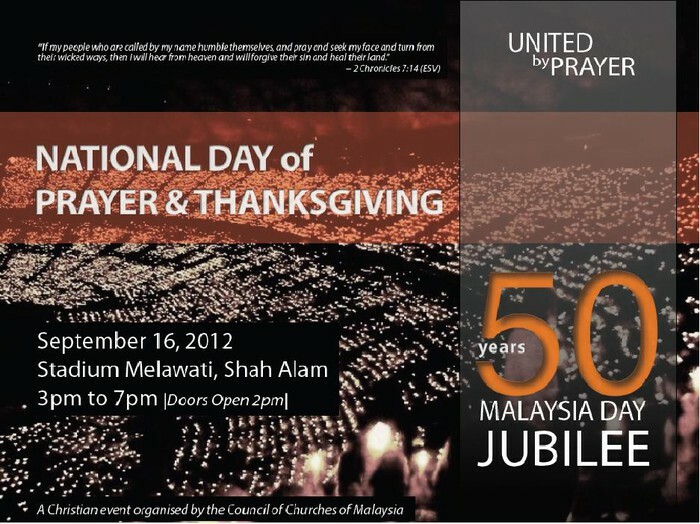 Come and join us as we will be gathering at the Indoor Stadium Malawati in Shah Alam - united by prayer - with all the churches throughout Malaysia on 16th September, 2012. Satu sambutan doa bersatupadu Kristian yang dianjurkan oleh Rangkaian Majlis Gereja Malaysia (CCM) Remaja untuk meraikan tahun Yobel Malaysia. Kami tidak peduli dari mana anda datang, siapa anda, atau gereja denominasi yang anda beribadat ! Jika anda mempunyai wawasan untuk Malaysia, dan visi itu adalah ISA/Yesus, marilah kami datang untuk meraikan bersama-sama ! 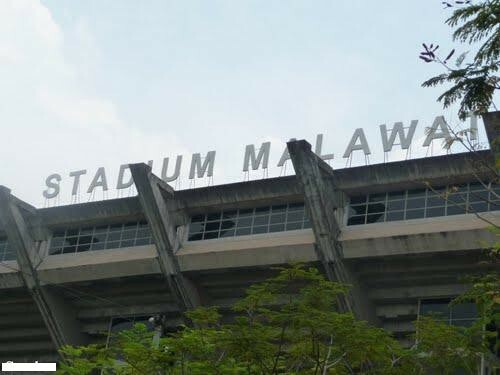 Kita akan berkumpul di Stadium Tertutup Malawati, Shah Alam - bersatupadu dengan doa - dengan semua gereja di seluruh Malaysia pada 16 September, 2012. Jumpalah anda di sana ! Cost = FREE / PERCUMA / 入场免费 ! 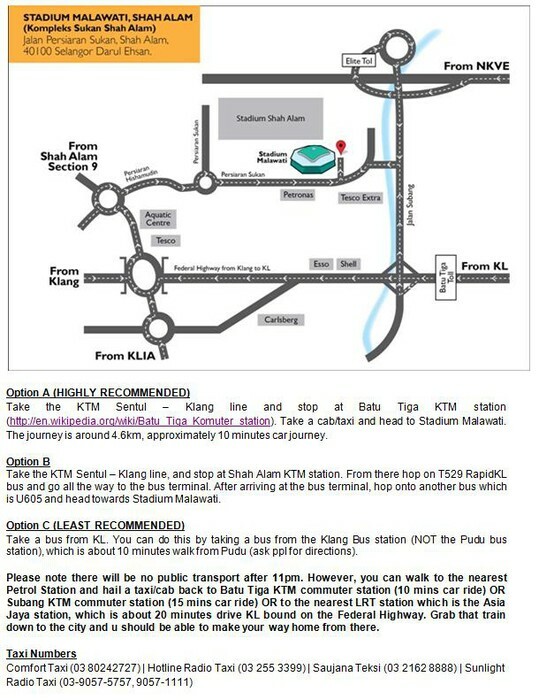 For Christian groups or churches coming in *CHARTERED BUSES/SCHOOL BUSES*, please inform the organizers either here or in the Facebook Events page (link provided above), or through a private message, or directly to the Council of Churches of Malaysia's headquarters as to HOW MANY BUSES you are coming in. We will provide you with relevant instructions and send you the bus zone sticker for download and direct you to the right parking zone. Please let us know if you are ferrying physically disabled, wheelchair or underprivileged guests so that we can direct you to the appropriate drop off zone. 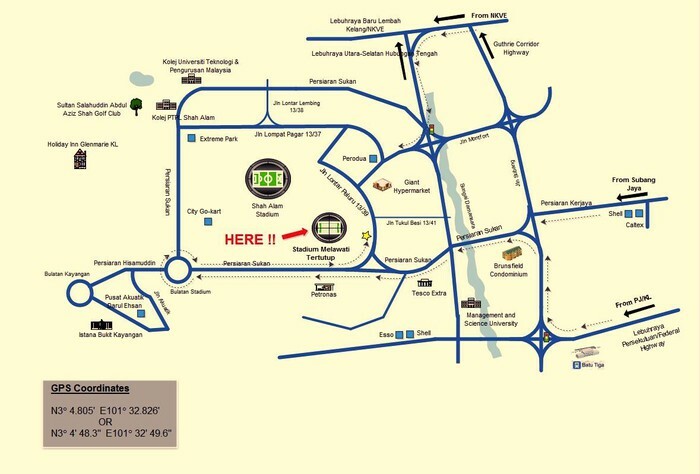 Your cooperation is deeply appreciated so that we will reduce the traffic congestion on that day. Thank you very much.